Sold out with more expected late May due to unforeseen production delays. Please add your name to our waitlist (link below) and we will notify you when they are back in stock. New lower price and made with stainless inside and out. 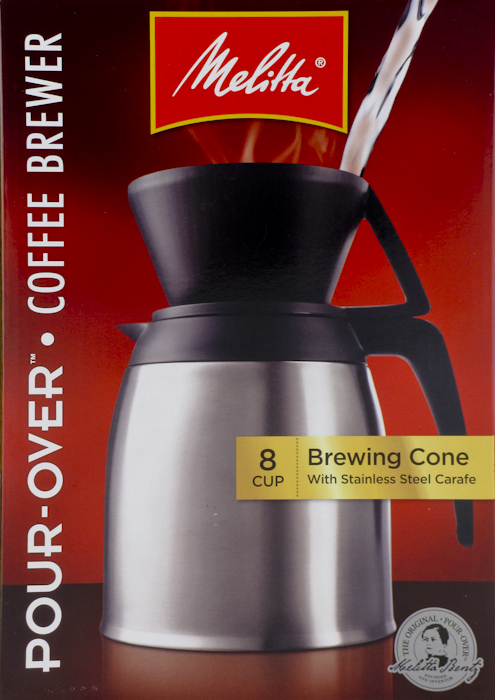 This is the exact replacement carafe for the Bonavita Thermal Coffeemaker (BV1800TH). It comes with a lid, and the same filter cone as originally supplied with the Bonavita. The product is made by Melitta. 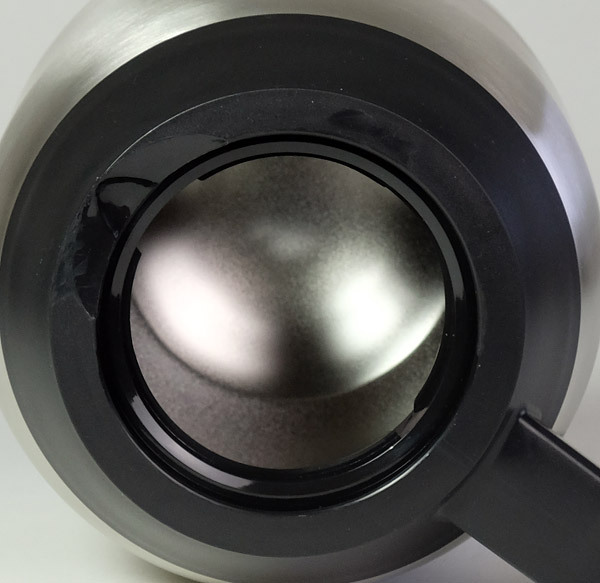 You can use it as a replacement, an additional carafe or a pour over brewer in its own right. Note: This carafe is not intended for Bonavita glass model brewers, just the Thermal BV1800TH. 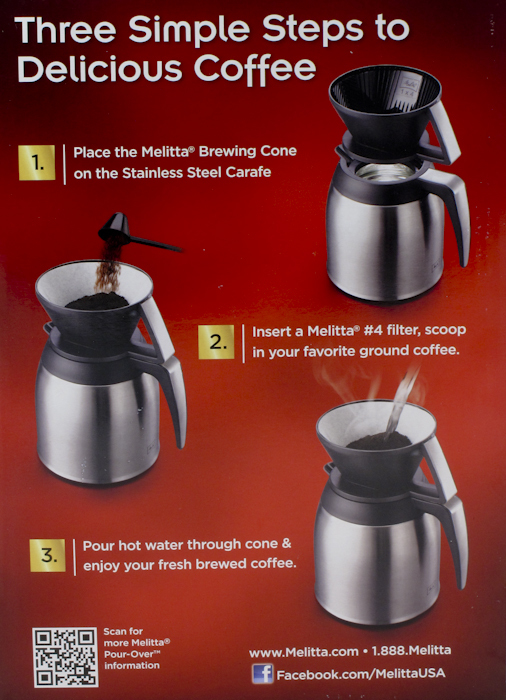 The Melitta 8 cup brewing cone and stainless steel carafe can be used on its own as a pour- over brewing system or as an exact replacement carafe set for the Bonavita 8 Cup Thermal Coffeemaker. The set comes complete with a plastic filter cone, a stainless steel carafe, and a lid. Both the lid and the filter cone are BPA free. 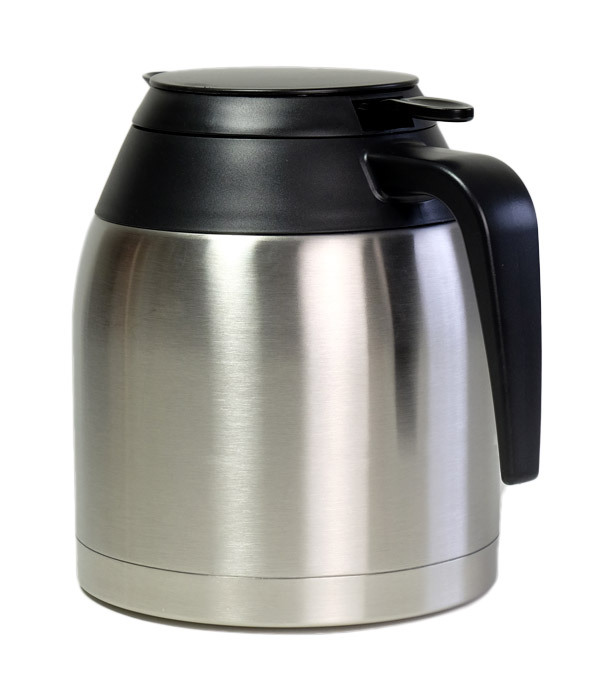 The stainless steel carafe will keep coffee hot for hours. Beginning with shipments in June 2014 the design is all stainless, inside and out with a wide-mouthed opening for easy cleaning. Formerly the interior was glass lined, making for a significant improvement - and now at an even lower price.